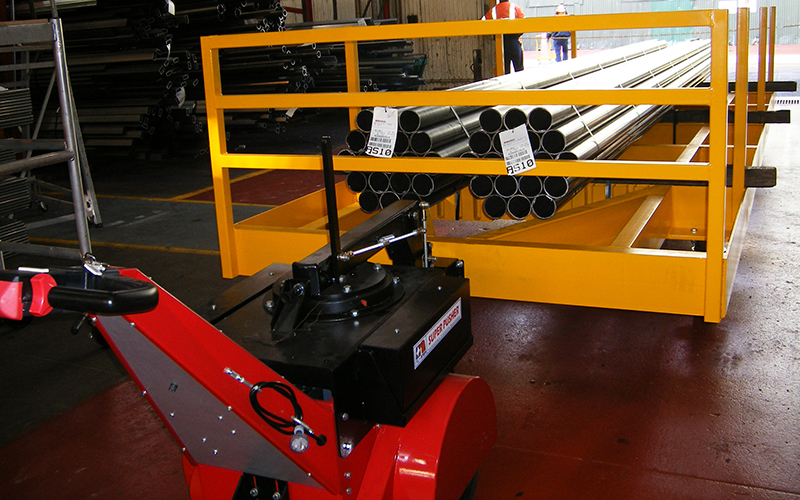 A typical industrial trolley has two swivel castors at the 'front' and two fixed wheels/castors at the 'back'. This arrangement requires the trolley to be moved from the 'front' and, assuming it is to be moved both forwards and backwards, there needs to be a physical connection to the trolley itself so that it may be steered and to prevent any risk of accidental disconnection. In order to 'steer' the trolley, we use our patented Steering Arm attachment that incorporates an industrial slewing ring (like a 5th wheel) on top of our machines. 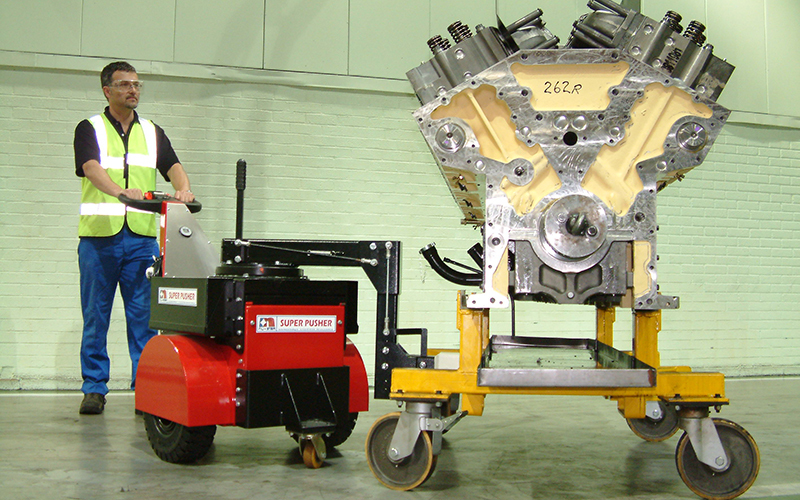 This enables the tugger to articulate, relative to the connection to the trolley, and hence the operator can very accurately steer and position the trolley. 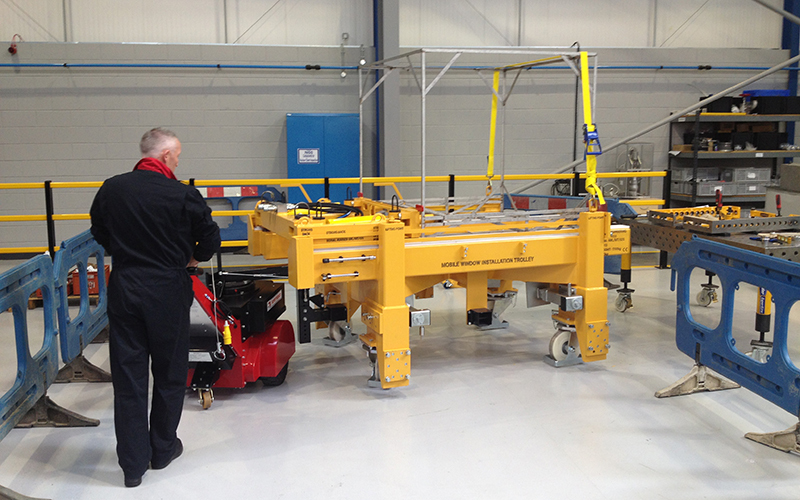 The connection to the trolley or cart is achieved by a Male/Female coupling arrangement, which ensures the tug stays safely & securely coupled to the trolley or cart during the movement process. Connection is automaticaly achieved by driving the machine towards the load & disconnection is by way of a simple pull handle on top of the machine. The Male part of the coupling is on the electric tugger & the Female part of the coupling may be either bolted or welded to the trolley, dolley or cart. The coupling is specifically designed to tolerate ramps & slopes and undulations in the ground.